Hard water can be a serious problem, especially in well-based systems. 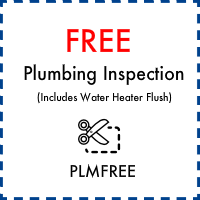 For these situations you need the services of an OnSite Plumbing professional, trained in providing the best in home water treatment solutions. At OnSite Plumbing we’ll help you select the right water softening, purification, and conditioning solutions for your home. Glassware and Silverware come out cleaner and shinier. Skin and hair feel softer, smoother, and cleaner with water softener treated water! Soap curd is a direct result of untreated hard water, make housework easier with purification! Soap also performs better when used with softened water, saving 75% through gained efficiency! Softened water is good for you and the planet, and you can return to chemical free soaps and laundry detergent! Fabrics come out of the wash softer, with less discoloration! The minerals and sediments are gone! Extend the life of all water based appliances such as ice makers, coffee makers, dishwashers. Through all these energy savings, you’ll reduce greenhouse emissions from your home as much as taking an SUV off the roads! There has been a breakthrough in water conditioning technology, providing the option of eliminating salt from the process of softening water and removing scaling from your water system. This system converts the calcium in water into calcite crystals, stopping the occurrence of lime deposits. The excess calcium, a common element in water, is just washed away! This system can even remove existing scale deposits, and protect from future scale development! Excess amounts of calcium and/or magnesium is what defines hard water. Calcium creates scale deposits in faucets, bathroom fixtures, and even in water lines. This leads to an increase in heating and energy costs, consumes more laundry detergent and soap, and causes appliances to break down far more often. 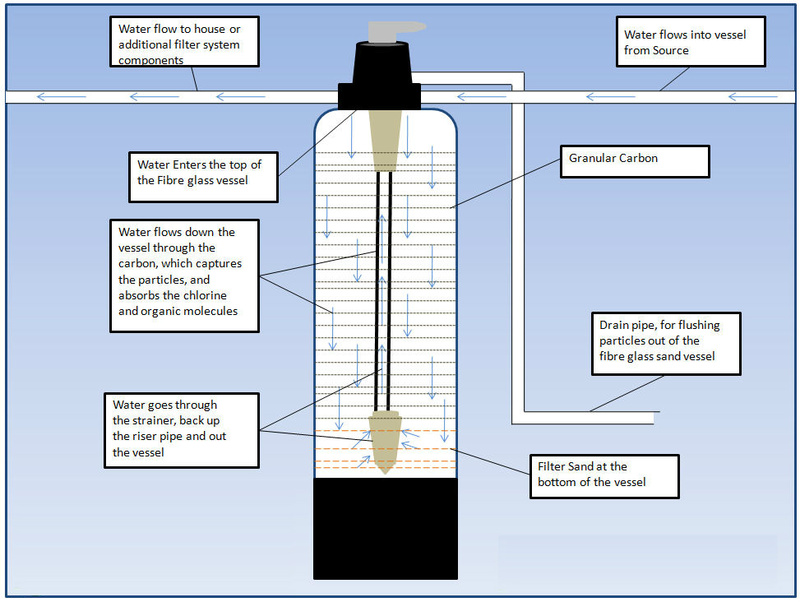 First Stage: Water is processed through a sediment filter cartridge that removes elements such as silt, sediment, and dirt, extending the life of the water filter by preventing damage. Stage Two: The filtered water is now processed through an Anti-Scale Tank. Stage Three: Water is processed yet again through a solid carbon cartridge that eliminates VOC’s (Volatile Organic Carbon Compounds), pesticides, industrial solvents, and insecticides from your water. Stage Four: Having been processed through three other filtration systems, it finally passes through an Ultrafiltration (UF) membrane, preventing anything over .01 micron in size from passing through. UF is a purification technology that is utilized in the production of high-purity water. It is so effective that colloids, proteins, viruses, parasites, pyrogens, protozoa, and bacteria are incapable of passing through this filtration process. This eliminates almost all known contaminants available today. Osmosis has been a scientifically understood process for about 200 years, involving the semi-permeable nature of the cell walls of living things. The membrane is particular, allowing some substances to pass through while others are rejected. If pressure is applied to the concentrated solution than the flow of water through the membrane is altered, and reverse osmosis occurs. 1. The first filter in most units is a 1-5 micron filter that will remove larger particles such as silt, sediment, and rust. Combined with carbon for chlorine reduction, some units my provide room for more than one pre-filter to be used if high chlorine is present in the source water. 2. At this stage the water passes through a membrane, allowing only hydrogen and oxygen to pass through while the filtered minerals get sloughed off down the drain. The purified water now moves into the tank, ready for immediate use. 3. When water is demanded by other systems in the house, it passes through a post-filter, removing any remaining odors or flavors. This results; in you getting the purest and cleanest tasting water anywhere. When utilized in any process that requires it, this water will improve the flavor and healthfulness of the end product while extending the life of any appliances used in the preparation method. Even humidifiers and aquariums benefit from the use of purified water, preventing scale deposits in the first, and improving the health of the fish in the second! The Water Quality Association or National Sanitation foundation should have certified the reverse osmosis system you choose. Without this seal, you can’t be certain of its efficacy. A reliable shut-off valve should be present in all reverse osmosis systems on the tank and feed line. 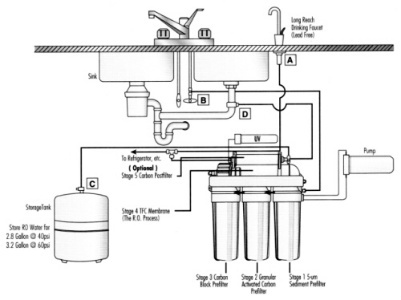 The amount of water used to automatically rinse the membrane is adjustable in some units. Reverse Osmosis systems come in a wide variety of colors and styles to suit your décor! A common complaint among owners of current systems is the duration it takes to fill any sizeable container of water. Our reverse osmosis systems deliver larger volumes of high quality water in a timely fashion. This system is specially designed with larger product water lines than most of our competitors. Regular maintenance is a vital component of keeping any system operating efficiently and effectively. 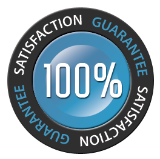 We offer a maintenance program which will have us contacting you when your system is due for annual maintenance. 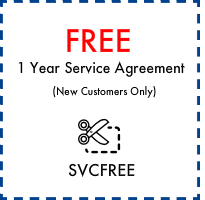 There is a 16 point, full service filter change and sanitization service, and an express service to maintain your reverse osmosis system. Our reverse osmosis system is made right here in the USA, many of them straight out of Arizona. 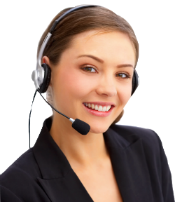 Our superior technical support is available on our reverse osmosis systems and the rest of our product line! Contact us here at OnSite Plumbing to get a free evaluation for your home, and start drinking healthy, flavorful water tomorrow! This reverse osmosis filter series has been Gold Seal Certified by the WQA for its ability to reduce contaminants to be in compliance with ANSI/NSF Standard 58. There are a great variety of models to choose from. Ultima reverse osmosis systems can be designed to produce higher flow rates to the faucet. What’s the big deal about Chlorine? During the dog days of summer, underneath an oppressively hot but welcome sun, many of us would take our draft at the garden hose, that bastion of childhood refreshment. While at school it was a quick stop by the old water fountain, and at home during more civilized activity, a cup of refreshing ice water from the kitchen tap. All of these were well intentioned but unfortunate incidents intended to meet our thirst and supply our body with much needed water! Unfortunately, tap water is rife with contaminants that interfere with our bodies’ ability to purify itself as much as aid it. Tap water just isn’t good for us anymore. One of the biggest culprits is Chlorine, added to our water to prevent an epidemic level spread of bacteria and micro-organisms among the community. However, Chlorine accomplishes this by being incredibly toxic, and upon contact with certain organic materials can create cancer-causing trihalomethanes. The consumption of unfiltered tap water has been indicated as a primary cause of bladder cancer in 10 out of 11 of the most reliable studies. More disturbing there have been indicators that chlorinated water has been connected with birth defects and spina bifida, meaning it can cause you problems before you were even able to drink it on your own. It’s not just important to stop drinking chlorine, but to eliminate it from our homes entirely if possible. When we shower the heat causes the trihalomethanes to aerate into the steam, resulting in us inhaling more in ten minutes than we would have drinking half a gallon of water. If that wasn’t bad enough, it’s also a primary cause of dry and brittle skin. To continue on this litany of why Chlorine is bad for you, one must remember the primary effect of chlorine that makes it a powerful sanitation agent. It is inimical to almost all forms of life and organic compounds, including those vitamins our bodies need so much. When included in food preparation we can expect to see a steady decline in the healthy vitamins and fatty acids in our foods. This has been linked to such problems as eczema, acne, and psoriasis, some of these issues easily fixed by simply removing chlorinated water from our diet. Have you ever noticed that the side of your toothpaste bottle tells you to call poison control if your child swallows more than a pea-sized amount? This is no surprise at all, seeing how fluoride is in fact a pretty potent poison, the industrial version being made by smelting aluminum. Fluoride comes in two primary types, one being relatively harmless but still toxic, the other being incredibly dangerous to handle. Sodium Fluoride is found most often in toothpaste, and while beneficial in general, it is specifically responsible for reducing the efficacy of about a hundred different enzymes our body utilizes every day. In combination with chlorine, it makes the effective absorption of vitamins incredibly difficult Hydrofluosilicic acid or sodium silicofluoride is used in water systems and is wickedly corrosive. In a statement by Dr. Charles Gordon Heyd, a former president of the AMA, Fluoride was addressed as “a corrosive poison that will produce serious effects on a long range basis.” While we are in no way advocating poor oral hygiene or a boycott of toothpaste, it is important for you to be aware of the dangers inherent in our supposed ‘health care products’. Simple precautions like rinsing thoroughly and not swallowing ones toothpaste will go a long way towards protecting you and your children from its ill effects. Aluminum, not just in foil anymore! Aluminum is generally proposed to be safe, though usually that’s in the context of aluminum foil. There has been evidence to suggest that leaving foods in open aluminum cans can contribute to Alzheimer’s by the aluminum particles being consumed. It should be slightly worrying then to find out that many municipalities treat their water with aluminum to attempt to remove organic material. While it is quite effective at this, it’s also impossible to remove it all from the water, and where does that aluminum wind up? In your tap water! And unlike biological agents like bacteria, you can’t boil out minerals or chemicals. So what IS Unfiltered Tap Water Safe For? Tap water can be used for a lot of things, including watering lawns, flushing toilets, washing clothes, but the one thing it is decidedly not good for is drinking or bathing in. For all other purposes you should use clean, purified water available from OnSite Plumbing with our reverse osmosis purification systems.